College of Insurance offers the perfect venue for corporate meetings, seminars, product launches and private dining. The tranquil environment lends itself to a creative and productive getaway. Conference & Banquet facilities are available for our esteemed guests with great sitting arrangement i.e. Theatre style, Classroom style, Cluster, U-shaped and many more. Set within a serene environment, it has been designed to ensure reflection on the occasion. 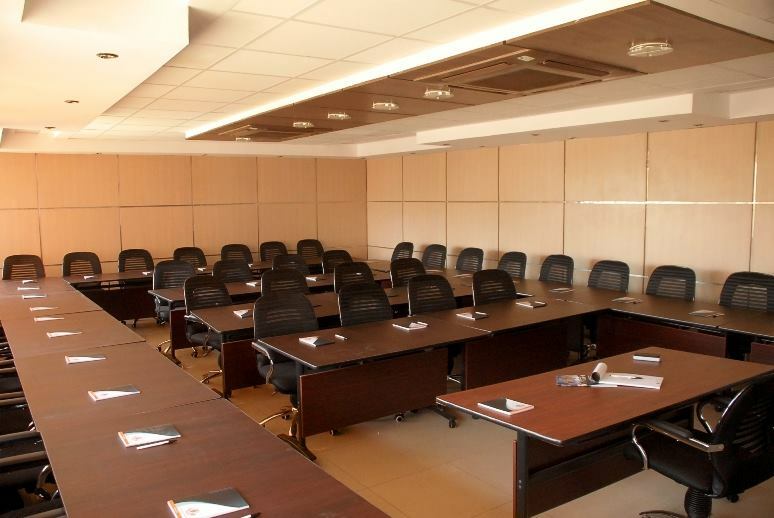 The meeting rooms are amongst the most modern in Kenya and can accommodate up to 300 delegates for prestigious events. The Conference Centre and banquet hall is fully air-conditioned and utilizes state-of-the-art facilities with the latest technology in audio-visual, lighting and communications. Adjacent to the facility is a spectacular Amphitheatre which can be used as a reception and catering arena. Facilitating events in a comfortable and attractive environment can give a whole new perspective to your occasion, enabling stimulating and productive sessions with many opportunities to relax and reflect on the day’s proceedings. Our dedicated team is on-hand to plan your events and customized entertainment programs to ensure your occasion flows seamlessly. Regardless of the technical specifications and event requirements, our experienced events management team will proactively ensure a successful and memorable event. Our conference and full board facility rates are inclusive of Free use of the conference rooms – Flip chart stands boards/papers – Writing material pens Marker pens – Multimedia projector Screen, Morning & afternoon tea breaks/snacks – Bottled mineral water. Internet facilities are provided for conferencing and seminar guest. Notice! Rates are inclusive of current taxes.